KOLKATA - Sovan Chatterjee will be the new mayor of Kolkata, the newly elected Trinamool Congress councillors of the Kolkata Municipal Corporation decided at their first meeting Sunday in the presence of party chief Mamata Banerjee. 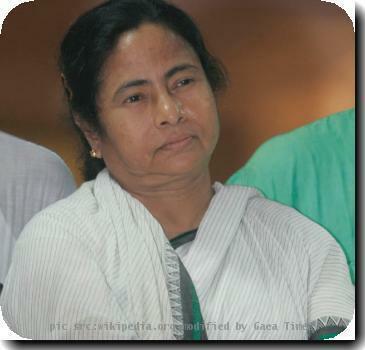 Forty-six-year-old Chatterjee, a former mayor-in-council (water) member of the Trinamool-run Kolkata Municipal Corporation board from 2000-2005, won from ward number 131 in Behala in the southern outskirts of the city. A councilor since 1985, Chatterjee would be formally elected to the prestigious post June 16 at the first meeting of the councilors. “I will try heart and soul to restore Kolkata to its past glory,” Chatterjee said soon after his nomination in the presence of his party supreme. Earlier a close associate of former mayor Subrata Mukherjee, Chatterjee had stayed back with Banerjee when Mukherjee broke away from the Trinamool and stitched an alliance with the Congress during the 2005 civic polls. Chatterjee, who faced allegations of financial irregularity from party Lok Sabha member Kabir Suman on disbursement of the latter’s MP Local Area Development funds, touched Banerjee’s feet immediately after his name was announced. “Kolkata is a heritage city. We will protect Kolkata’s heritage. But the central and state governments also have their responsibilities in this regard,” he said. Farzana Alam was nominated as the new deputy mayor. An expert committee, led by Subrata Mukherjee and comprising eminent persons from various fields was also named during the day to guide the Kolkata Municipal Corporation board. Eminent singers, writers, theatre and film personalities, engineers, doctors, lawyers, painters, sportspersons, poets and journalists, as also presidents of the various chambers of commerce and government agencies figure in the committee, that also includes murdered muslim man Rizwanur Rahman’s mother Kishwar Jahan. Among the journalists who have been nominated are Dainik Statesman editor Manas Ghosh, and senior news agency scribe Pradip Kumar Chakraborty. Banerjee urged the newly elected Trinamool councillors to work cohesively in the interest of the people. 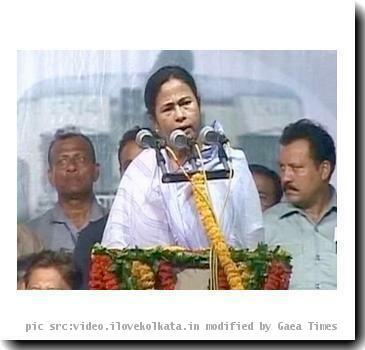 Jol Sovan chol be na … Kolkata needs a Mayor not a scammer. Mr. Chatterjee is corrupt and is involved in the MP fund disbursement scam. Besides, we need a party-worker and not a leader as our Mayor.